News came a day before Google I/O, Google’s annual developer conference, that Blackberry will release versions of its popular Blackberry Messenger for Android (and iOS) this summer. For many Blackberry users, BBM was one of the main reasons, and perhaps the only reason, to remain loyal to the platform through lackluster devices, poor OS updates, and a shrinking market share being eaten away by Apple, Samsung, HTC and Motorola. Sensing this, industry pundits have been calling on Blackberry to finally port BBM to other devices for years. Now, it’s years too late. In 2009, Blackberry devices represented nearly half the market in the United States. Between the introduction of the iPhone 3GS that year and the first batch of high-end Android devices a year later, Blackberry is at best a very distant third in the U.S., fighting it out with Windows Phone for the tiny segment of mobile device users who don’t want to buy into Apple’s or Google’s infrastructure or limitations. Users who once claimed that their Blackberries would have to be pried from their cold, dead hands have clearly migrated en masse away from the platform. Perhaps it’s how the iPhone, born out of the successful iPod, handled media. Maybe it was the cool factor of owning a well-marketed and well-made device. Or it could be it was how well Android devices tied into Gmail and Youtube. Or the rise of Google’s cloud-based services like Drive or Play Music. Regardless, Blackberry is on a slippery downward slope. Developers go where the users go, and some iOS and Android users looking for a BBM-like experience have moved on to specific messaging apps like Kik, WhatsApp and Viber. Many have also migrated to other messaging platforms like Facebook and Google Chat or stuck with tried-and-true methods like SMS. Users have a lot of options these days. 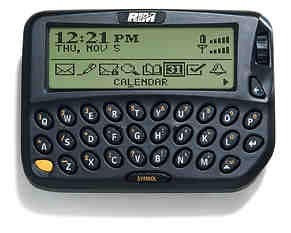 Blackberry embracing Android is nothing new. 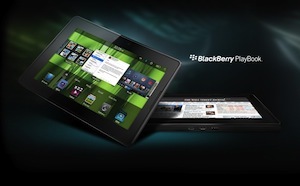 The Playbook, Blackberry’s ill-fated tablet, included what was essentially an Android emulator to allow it to run apps for the platform. While it may have been meant as a stopgap until Blackberry developers wrote more tablet-friendly apps, the device’s high price was a strong incentive for users to buy a less expensive Android tablet and run those same apps there. 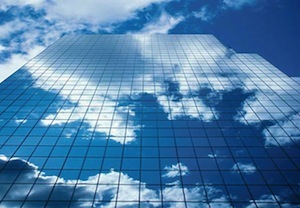 Blackberry Enterprise Server – one of the better mobile device management suites when Blackberry was king – has also been updated in recent years to include support for Android and iOS device management, but other companies have offered the same hooks into Apple’s and Google’s enterprise infrastructure. At this point, it’s hard to see porting BBM to other platforms as anything but the last, desperate acts of a failing company, trying hard to remain competitive and relevant in a changing marketplace. Jim Balsillie, the company’s former CEO, was either too distracted by his many failed attempts at purchasing an NHL team to move to Canada, or too filled with hubris to see the shift coming; Thorsten Heins, the company’s current CEO, is now left to clean up the mess. Blackberry’s best bet may be to take their secure e-mail, still the company’s strongest suit in the enterprise, and find a way to port that to Android, and join HTC and Samsung in making Android devices. It may be the only thing that keeps them from joining Palm on the scrap heap. Follow Don Becker’s tech thoughts on Twitter @UnwinnableDonB .